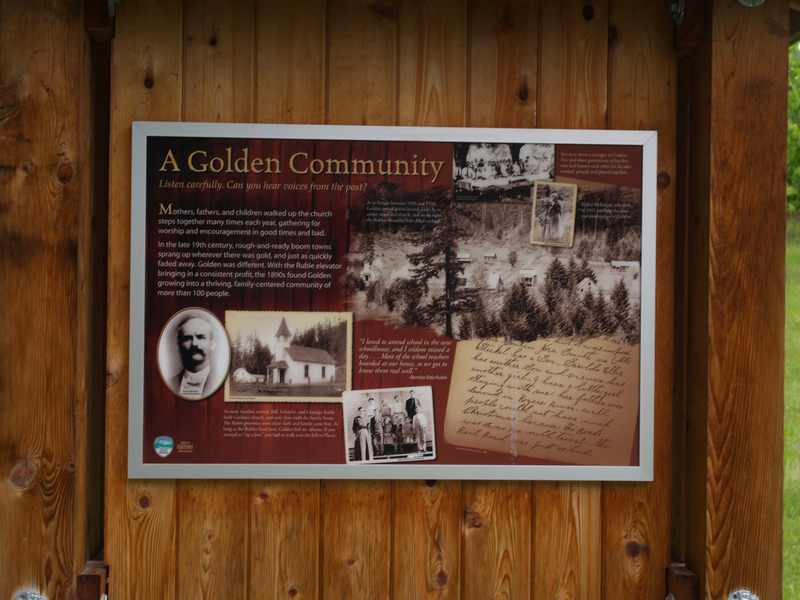 Golden earned it’s nickname as “The Driest town in Oregon” due to William Ruble’s anti-alcohol ways. 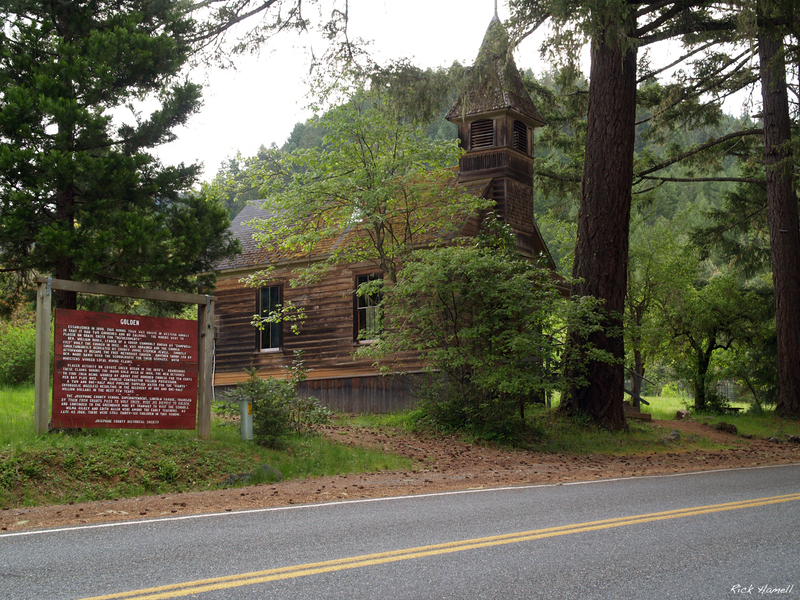 He forbid any in town, causing locals to head west to Wolf Creek, or south to Placer to spend their money. 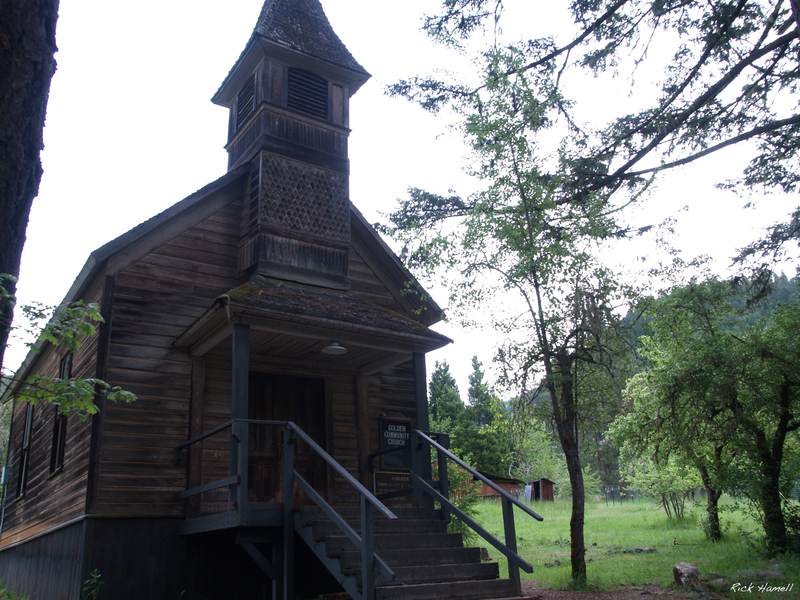 Golden is one of the few “true” Ghost Towns in Oregon. At least as most people count them, IE, with actual buildings remaining but no population. 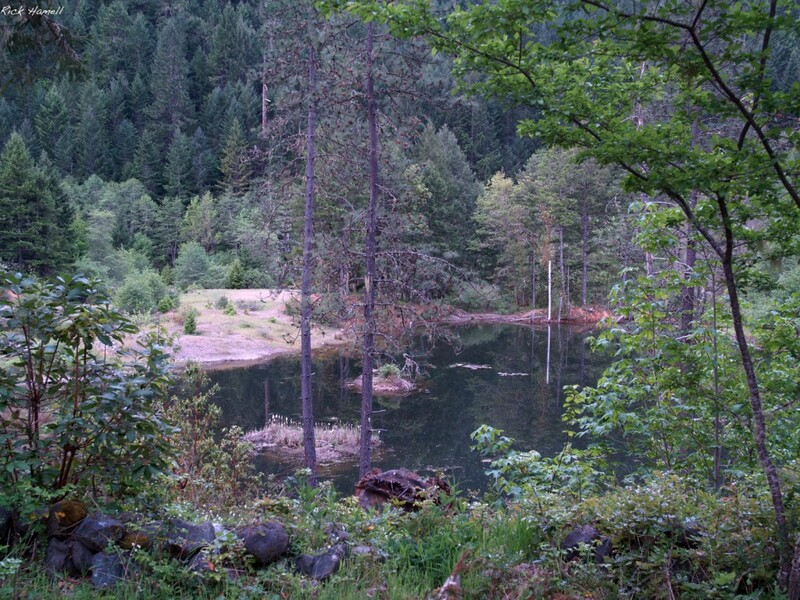 Luckily though it’s now an Oregon State Park and is being restored and maintained by them. 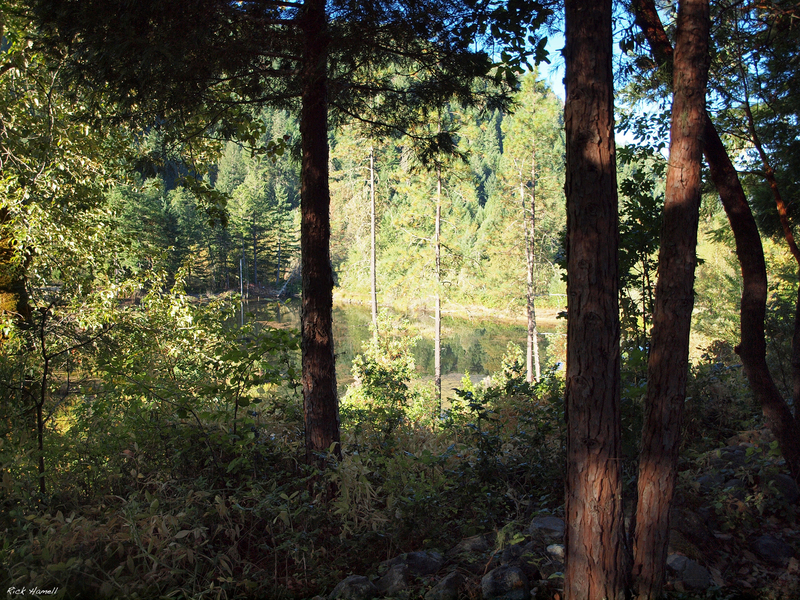 The area of Coyote Creek was first settled in the 1840’s by Gold Miners. Another gold strike in nearby Salmon River saw the local population disappear to take advantage of that. Chinese Gold Miners immediately moved in only to be pushed out again by white miners. In the 1870’s the first “hydraulic giant” (essentially a huge water hose,) was introduced to the area. The damage from where this washed down entire hillsides to be searched for gold can still be seen. The mining activity was so intense at this time, that the Oregon-California Stage Company made a detour here from Leland to drop off passengers, mail, and goods. 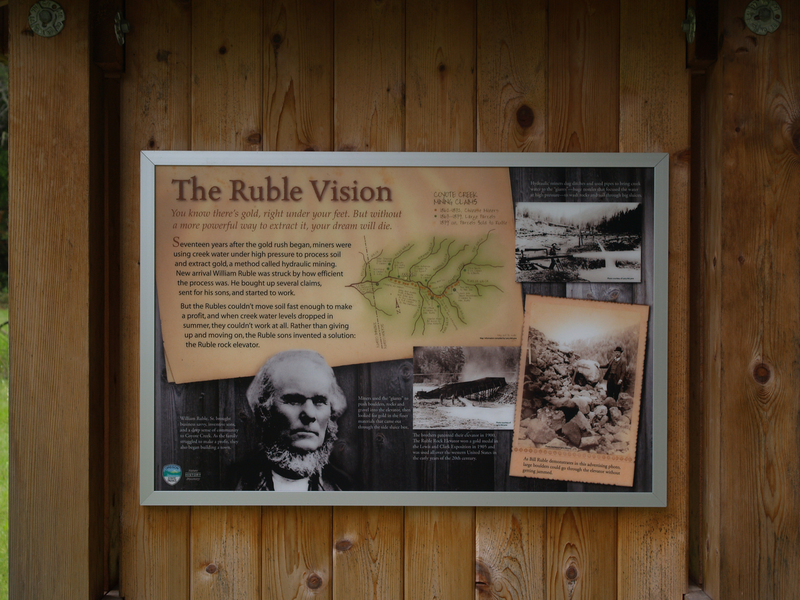 William Ruble like so many others was drawn to this area by the lure of easy to find gold. He soon brought his family to settle along the creek. Like many other miners in the area, they used hydraulic water mining to wash hills away. 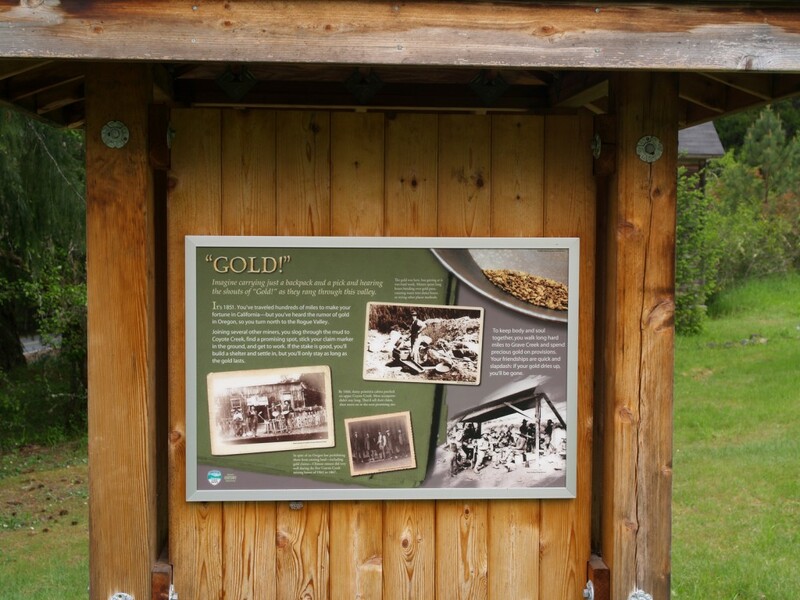 The remains were then run through sluice boxes to recover the gold. 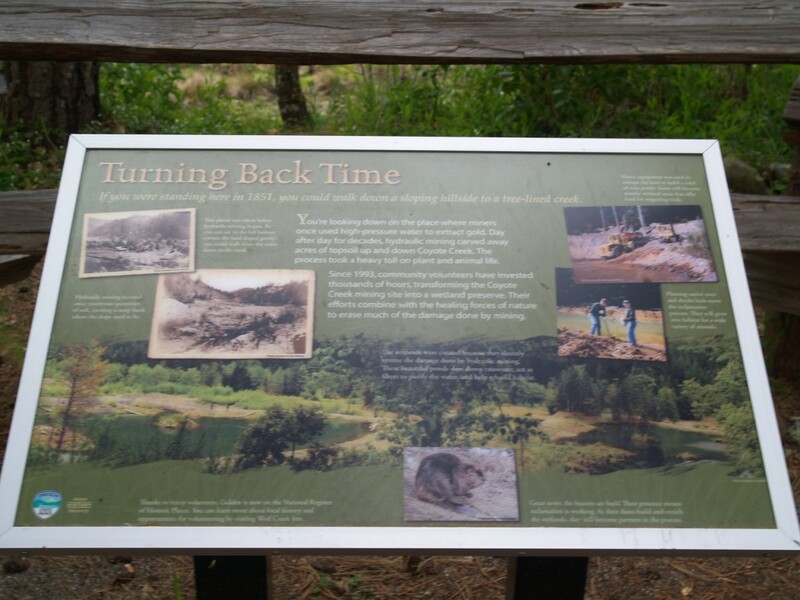 While hydraulic mining was effective, it suffered issues when water levels dropped in the Summer. To solve this issue, the Ruble brothers, Bill and Schuyler, invented the Ruble Elevator. It increased mining efficiency drastically and became an instant success, even winning an award at the famous Lewis and Clark Exhibition in Portland. By the mid 1880’s William Ruble had purchased all the claims east and west of the area, and resolved the outstanding legal issues with the last claim. The family then mined the easier claims themselves, while leasing the rest to other miners. A post office was established January 10th, 1896 to serve the area’s 150 or more families. Schuyler Ruble was the first Post Master. William Ruble was an teetotaler, leaving the town a dry one. 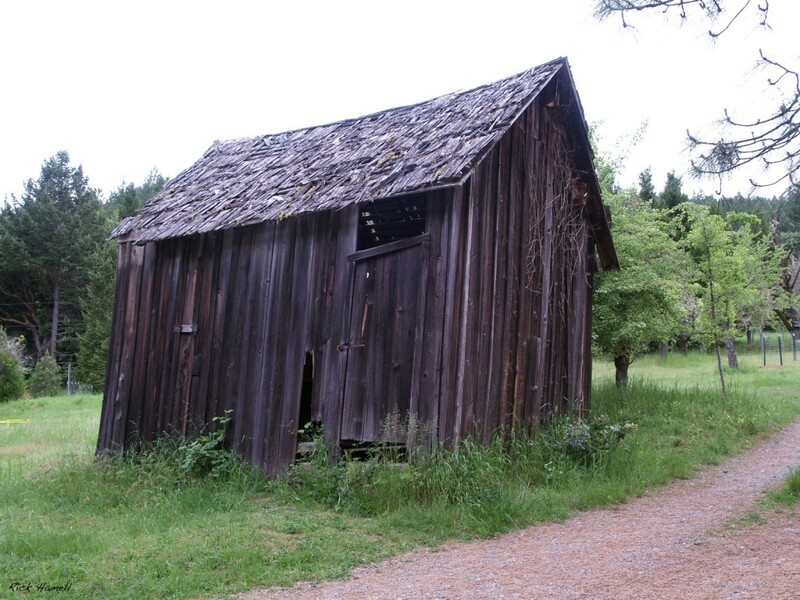 Local miners would frequently head south to Placer for alcohol, and west to dance hall at Wolf Creek. The decline of Golden was as swift as it’s rise, and the post office closed March 31, 1920. When entering Golden, be sure to watch on the right side. 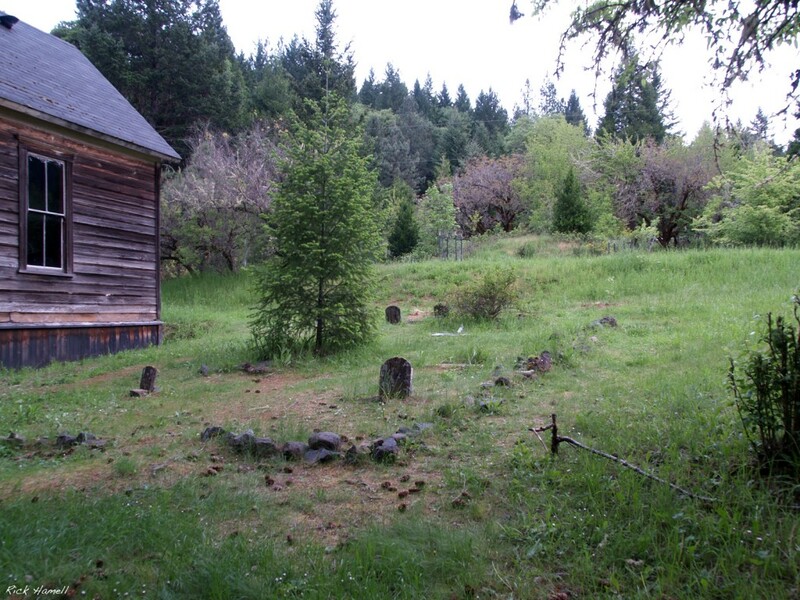 Two older houses, along with the school house are partially hidden in the woods. All are on private land and obviously serve local families still. Once you’ve entered town, the old creek is on the right. Coyote Creek is now protected wetlands. On the left the first visible building is one of the towns two original churches. Next to that is a small cemetery. 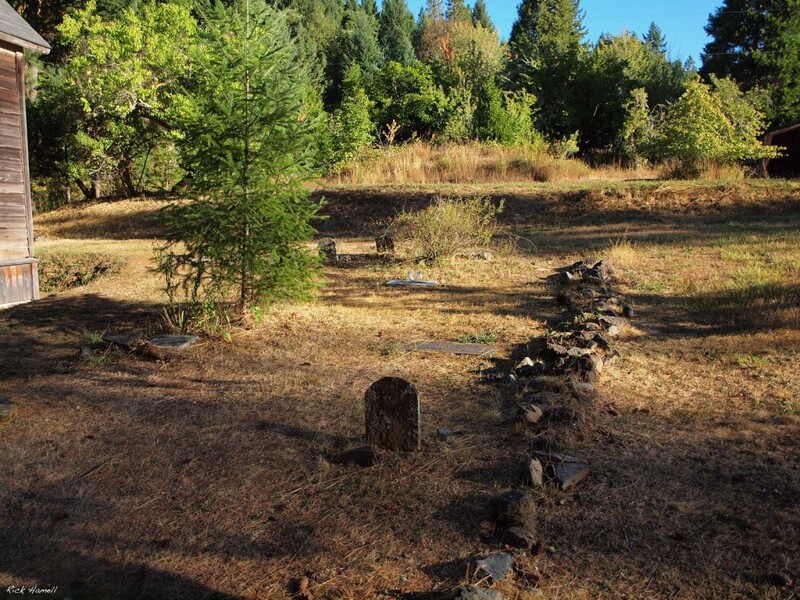 Rumor says it was used a prop in the TV show Gunsmoke, with all the grave markers appearing to be blank, this is possible. Behind the church and too the right is the old carriage house of the Ruble House. Unfortunately it’s not very picturesque, and still has signs of recent repairs with modern materials. A small cart lays dilapidated next to an information kiosk with the following three signs. The remaining two buildings are another ramshackle old barn, and an old general store. Getting to Golden is really easy. Take the Wolf Creek exit off of I-5 (north and south bound.) If you’re going south bound, keep driving south along Old State Highway 99S. Just after passing through “town,” there will be an underpass on the left. The underpass is unlabeled, but there should be a Oregon State Park sign point along this road. Follow Canyon Creek Road about 3.5. The town will all be on the left side. If you’re northbound on I-5, just take a right off the exit and you’ll be on Canyon Creek Road. Did you get any good pictures? Is the school moved closer to the other buildings? 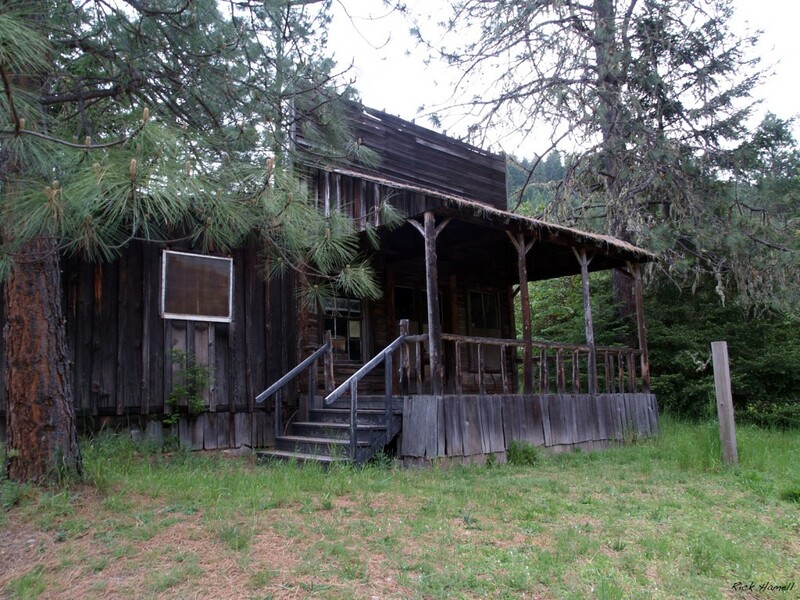 any ghost town property for sale? Cabin Creek Colorado is for sale right now. Was just there this weekend. Looks like the school building is moved closer to the general store. 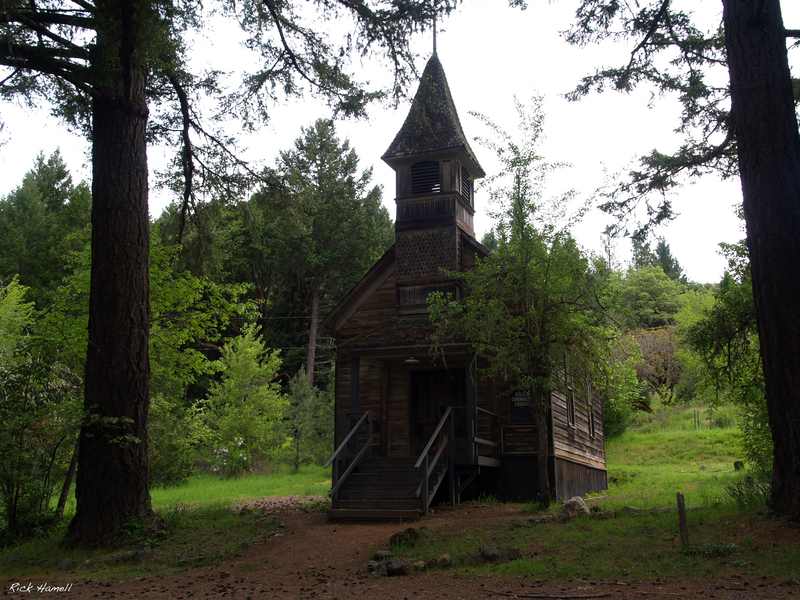 You can go inside both the church and the school house or second church, however both are vandalized. There is a lot wrong with the info…… But what is right is good.